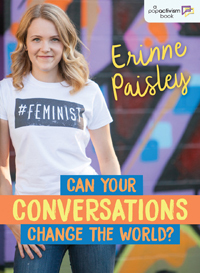 Biography: Erinne Paisley is an activist, public speaker, youth content developer, writer and student. She was awarded one of ten University of Toronto National Scholarships and is now studying International Relations at Trinity College, University of Toronto. She is also the author of the PopActivism series. For more information, visit www.popactivism.com. Follow her on Twitter @ErinneP and subscribe to her YouTube channel, Erinne Paisley. We need to talk about feminism. 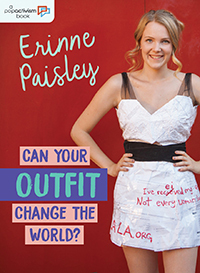 Change your outfit, change the world.